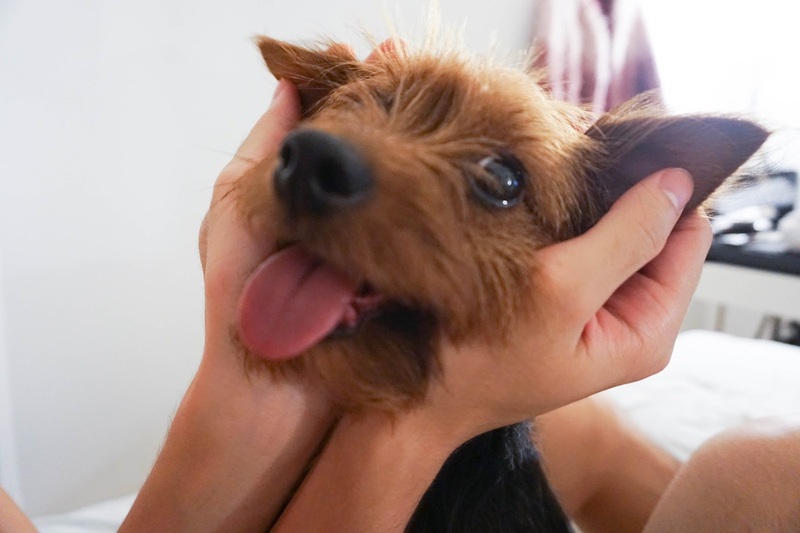 Happy national dog day everybody! 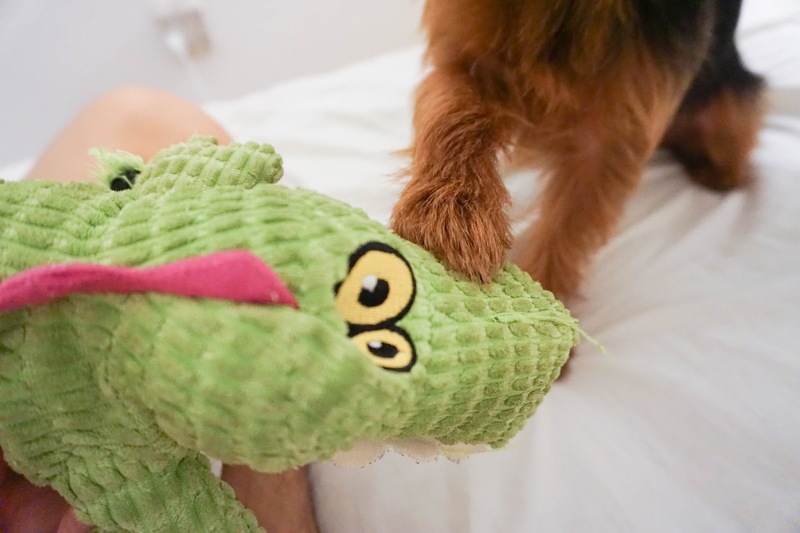 This green crocodile is one of Mika's favorite toys. It's also the sturdiest one where she hasn't broken within a couple of days. 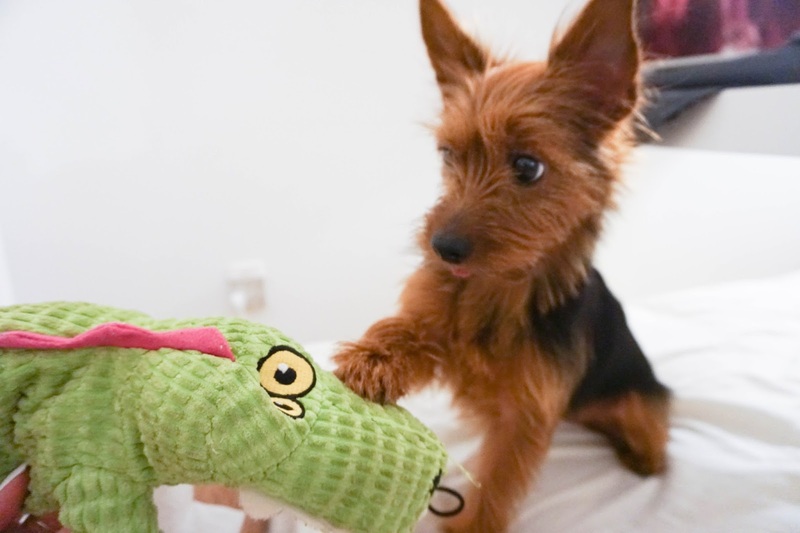 She goes crazy with it and always want to play tug of war with me even if I'm not in the mood for it. In the last photo, Mika and I are holding hands and bonding if you couldn't tell. I love holding hands with her. 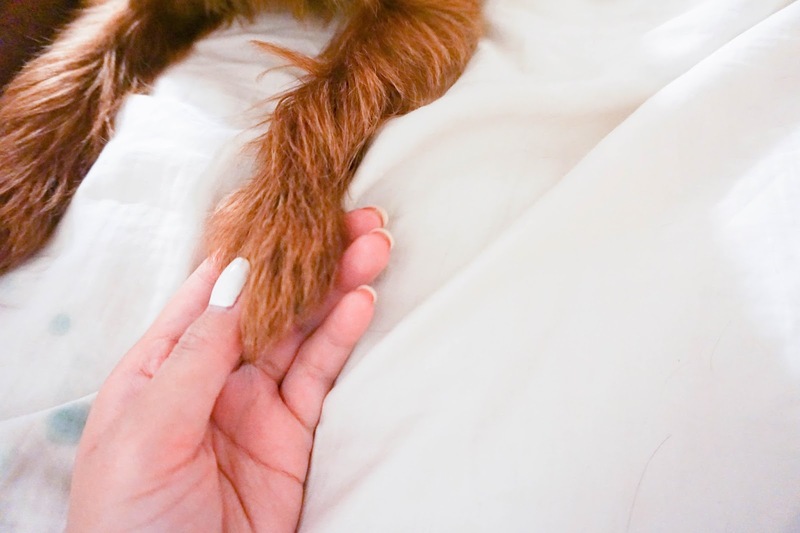 I think doggy paws are the cutest thing. Looking at these pictures make me feel like I should try and capture more of her moments so I can have things to look back on. She has so many funny and crazy moments that I never get the chance to capture on camera. Hopefully I'll remember to do that more often now.